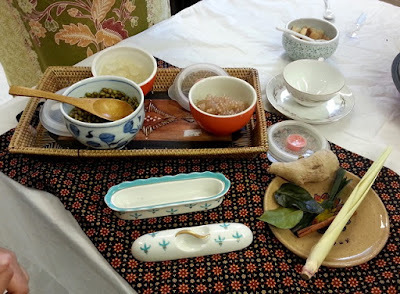 Asia Pacific Cultural Center (APCC) offers a Tea Experience on the first Saturday of each month. It's an opportunity to discover and learn more about the teas, the culture, and the traditions of Asia and the Pacific Islands. 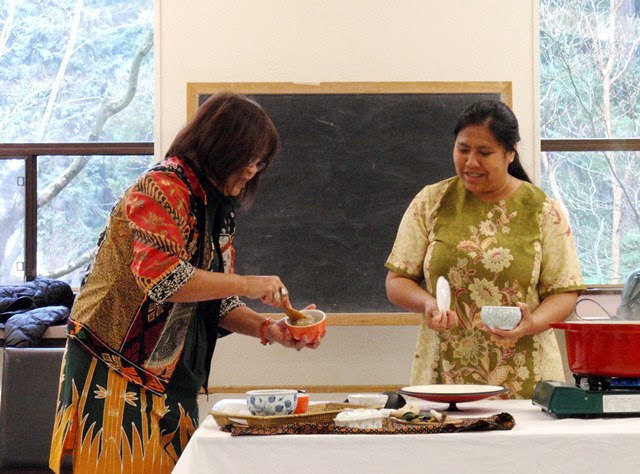 On January 9th, APCC hosted an Indonesian Tea Experience, presented by Maria and Lely. 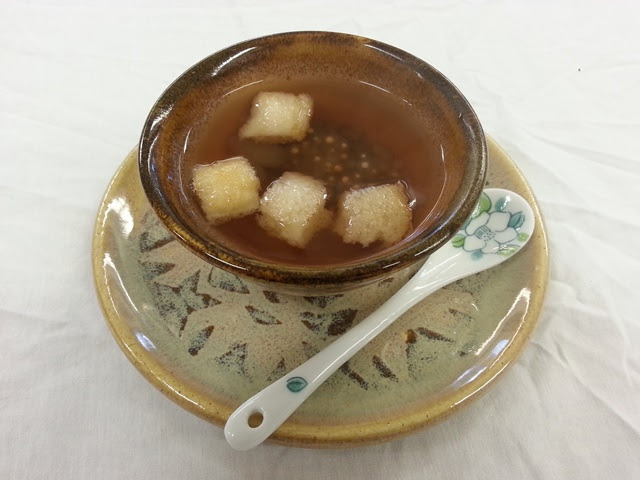 The featured tea was a traditional hot ginger drink called Sekoteng. Sekoteng originated in West Java and the recipe has since spread all over Indonesia. Preparation can be time consuming, so it is generally only served at small gatherings or purchased as a late-night treat. Bring the ginger tea base to a boil, simmer for 1 hour, then strain out the solids. Place boiled mung beans, sugar palm fruit, and tapioca pearls in small bowls or teacups. Fill the bowls or cups with the ginger tea. Top with bread cubes and serve. Sekoteng is delicous and revitalizing and we all enjoyed it so much that we went back for seconds. Thank you to APCC and to our presenters, Maria and Lely, for introducing us to Indonesian culture and this traditional drink! On February 13th, Indonesia will be featured at the Tacoma Dome for the 18th Annual Asia Pacific New Year Celebration. You may have the opportunity to see Lely's dance, so don't miss it!